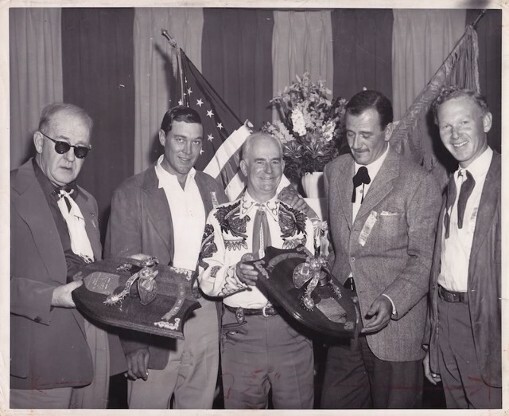 The Silver Spurs Award was given to John Wayne in 1949 to honor the Western Film star whose work kept the Western Spirit alaive. 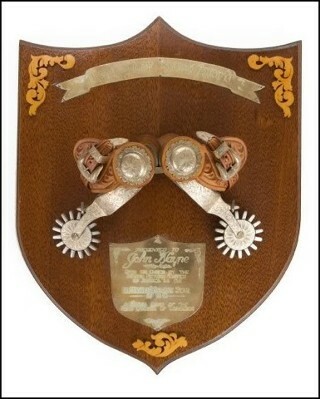 John Wayne was the first winner of this award for his work in, Red River and She Wore a Yellow Ribbon. 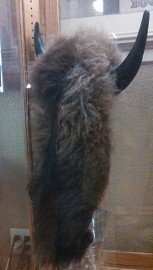 You can see the award at the Stockyards Museum! 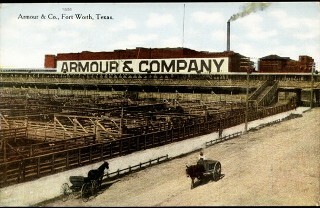 The Swift and Armour packing plants are a key part of the Stockyards history. You will find artifacts, photos and documents that signify their importance. 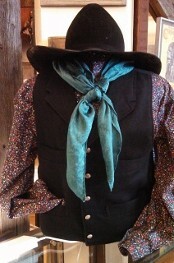 The Livestock Industry and the Cowboy are a huge part of our colorful legacy. 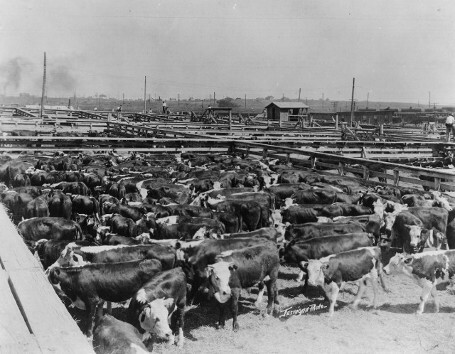 You will find artifacts and photos of scenes from the early Stockyards. The Palace Theater Bulb, has been burning for 106 years as of September 21,2015. It is featured in the Guiness Book of World Records as the second longest burning bulb in the world, (the longest burning bulb is 7 years older and is in Livermore, CA.) Come see it to believe it! 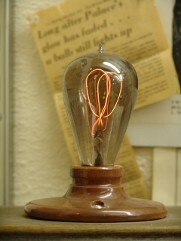 Check out the CBS news story on the Palace Theater Light Bulb! THE BAD LUCK WEDDING DRESS. 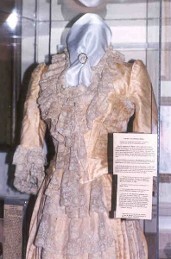 This dress was made in 1886 and has brought personal misery or disaster to everyone who has worn it or planned to wear it. 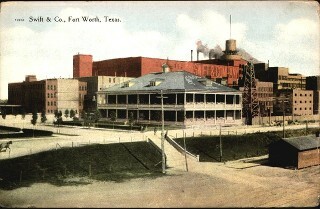 Learn more about it in the Stockyards Museum. There are many American Indian artifacts from the Comanche and Kiowa tribes that use to frequent this area along the Trinity River before the area was settled. 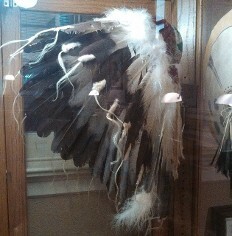 These head dresses and a jingle dress are just a few of the items. 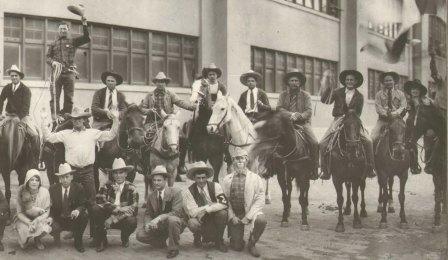 Fort Worth is considered "Where the West Begins" and was once a stopping place for the cattle drives to get supplies before heading into "indian territory." 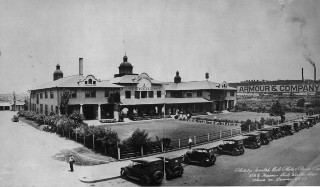 In the late 1800's it was also the place to bring cattle to sell. 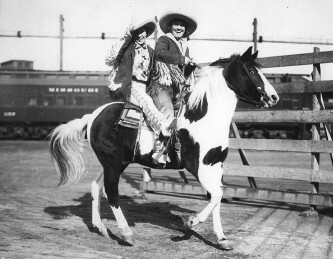 The famed Chisholm Trail came through Fort Worth headed north to Kansas. 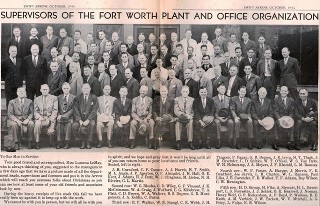 Fort Worth is also known as Cowtown and still lives up to that heritage today. 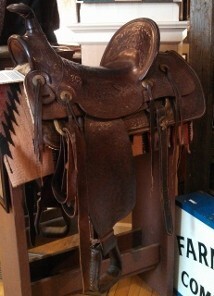 Included in the many cowboy and western items is this saddle. 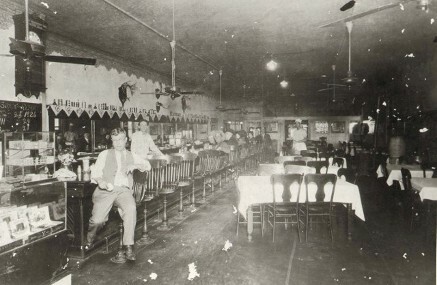 It was originally built in 1880 by an unknown saddle maker and ridden from 1881 to 1887 by Fort Worth Police Chief J.H. Maddox.